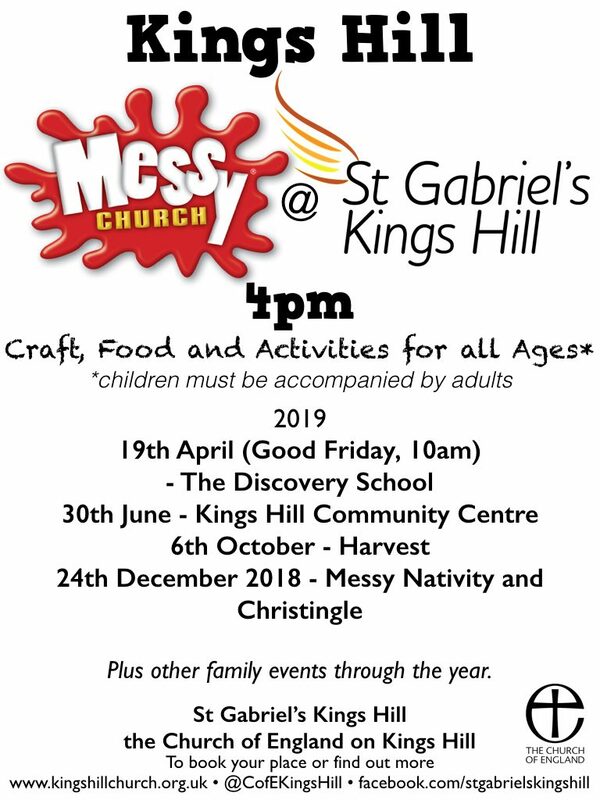 St Gabriel’s is home to Messy Church on Kings Hill. We meet 6 times a year at 4pm on a Sunday afternoon. If you are new to Messy church, it is a mix of activities, worship and food. It’s for all ages and through the activities and worship we explore a theme and then share a meal together. One of our most popular Messy Church’s is on Christmas eve, where we have a scratch Nativity and Christingle making and lighting as part of the service.